Based on age and academic level, students are placed in one of 19 different classes, from kindergarten through grade 12 levels. The school is organized on a two-track system: "A" track is for children who speak Chinese at home, i.e. heritage learners, and "B" track is for those families without a Chinese background. Students can also participate in several Chinese cultural classes such as calligraphy, dance, martial arts, and a variety of academic competitions. Classes meet Saturday mornings from 8:45am to 11:45am with two recess breaks, the second of which features a delicious Chinese meal for purchase. Extra-curricular cultural activities meet from 11:45am to 12:45pm. Based on age and academic level, students are placed in one of 19 different classes, from kindergarten through grade 12 levels. "B" track is for those families without a Chinese background. Our track "A" begins with PA for kindergarten students and moves up one grade per year. Similarly track "B" begins with PB for kindergarten students and moves up one grade per year. Both tracks teach traditional and simplified Chinese characters as well as Zhuyin and Pinyin phonic systems. Students may choose their preferred version to practice. Classes are accepted for course credit at most high schools. 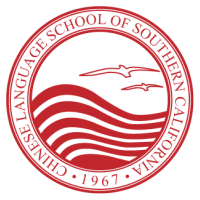 View information about LAUSD Foreign Language Credits. Please click here for more information on Adult Chinese Class. ​We also offer Parent-and-Me classes for students age 3 to 5. Please click here for more information.